#Grenoble is a city in southeastern France, situated at the foot of the French Alps. The city has the nickname “Capital of the Alps” due to its’ location and its’ history goes back more than 2000 years. Grenoble is a base for winter sports but is also known for its’ wonderful museums , universities and research centres. It boasts a superb public transport system which includes the spherical cable cars known as “Les Bulles” (Bubbles) which connect the city to summit of ‘La Bastille’ hill named for the fortress on its’ slopes. The etching to the left is of the #PortedeFrance gate or entrance to the city. I suggest 1880 for a date of pressing as from 1894 the tram line which served the city until 1952 ran between the gatehouse on the right and the rock face on the left. 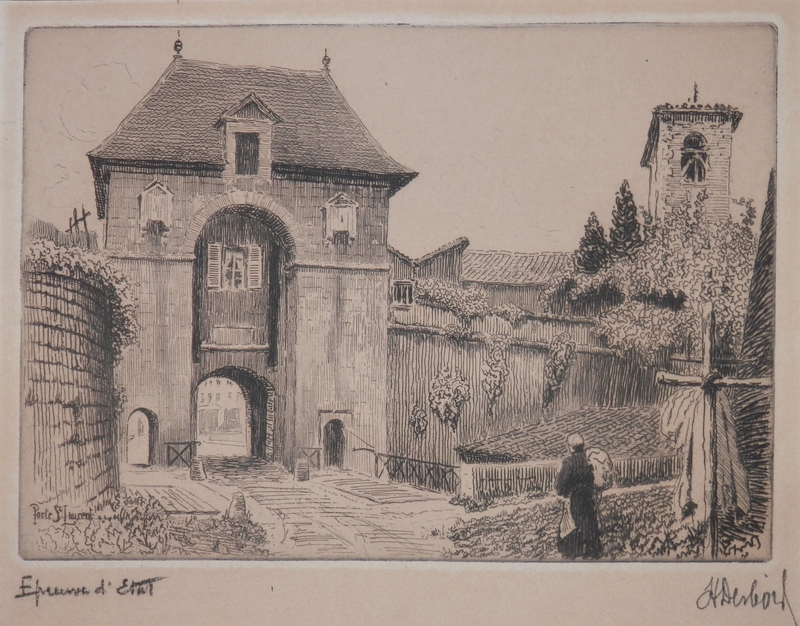 The second etching (by the same artist) is of #PorteSaintLaurent. Both etchings read Epauvre d’Etat (test state or proof). The etchings are quite finely produced and are architecturally accurate. If anyone can decipher the name or recognises the artist signature please let me know so that I can give proper credit to this talented artist. 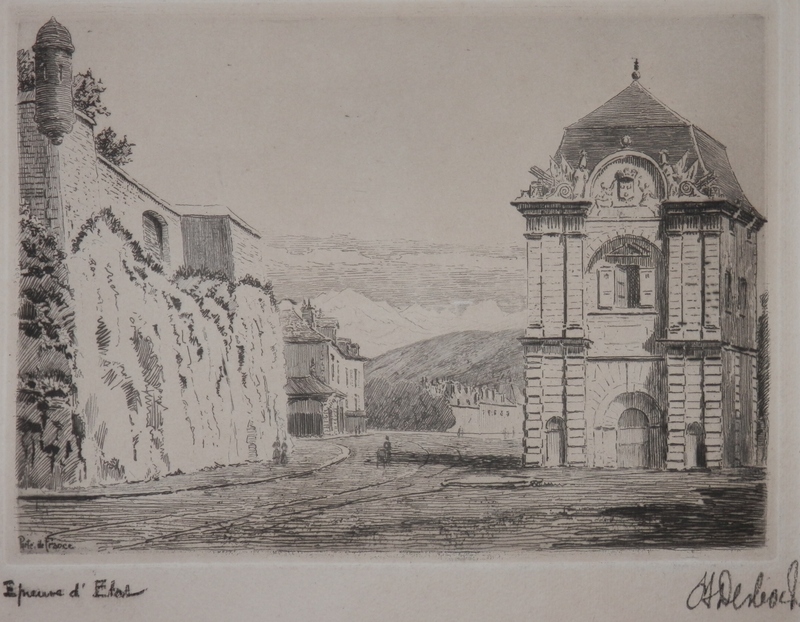 This entry was posted in Etching and tagged alps, France, gateway, Grenoble, Porte de France, Porte St. Laurent. Bookmark the permalink.